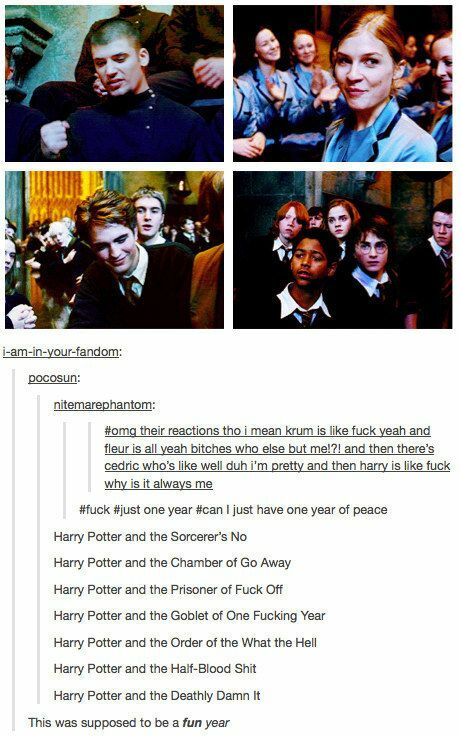 If you haven’t read the books in the series or watched the movies,(first off all seriously? Have you been living under a rock for the past 15 years?!) Be warned: there will be spoilers here. Aside from the obvious love that I have for these books, I really do appreciate that you can basically pick up any book in the series and read it without having to have read all the other ones. Sure you’ll miss out on a few things but overall, each one could technically be a standalone book. There are enough links back to the previous writings that it’s totally fine. 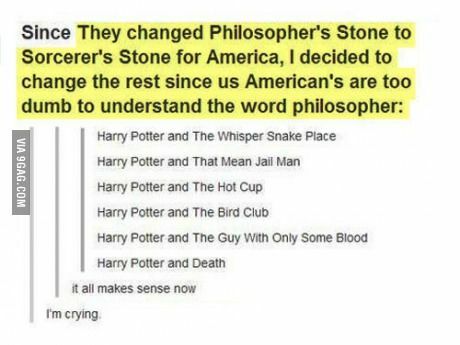 The first book is The Sorcerer’s Stone. In this book, you are introduced to all the characters that you need to know for the whole series. The main premise of this book is that there is a specific stone that will give the person who has it enteral life. It is used to create an elixir of life and the drinker can live forever. It is hidden in Hogwarts school, supposedly protected by magical enchantments from various teachers. Quirrel has been possessed by Voldemort and is looking for it, Harry is convinced Snape is the one trying to find it for Voldemort. Book two: The Chamber of Secrets. Harry starts hearing voices in the walls, Ginny starts to be all crazy, people are being turned into statues, and the teachers are useless. In the end, Harry kills a ghost like thing from a diary, and Ron seriously damages a teacher’s mind so much that he has to spend the rest of his life in a magical hospital unable to function in society. A seemingly dangerous criminal has escaped from the wizarding prison and is thought to be seeking out Harry to kill him. He used to be Harry’s godfather. There is a new teacher at Hogwarts who is a werewolf. Ron’s pet rat is discovered to be the one who actually leaked the information to Voldemort which got Harry’s parents killed. Ron, Harry, and Hermione assault a teacher and aren’t punished. Hermione, a 13-year old, is given a time travelling device in order to take more classes, putting so much mental strain on her that her friends think she is going to crack. Students from three different magical schools come together to have a “hunger games” style tournament. The newest teacher is actually an escaped criminal who has kidnapped the real teacher and is holding his hostage. 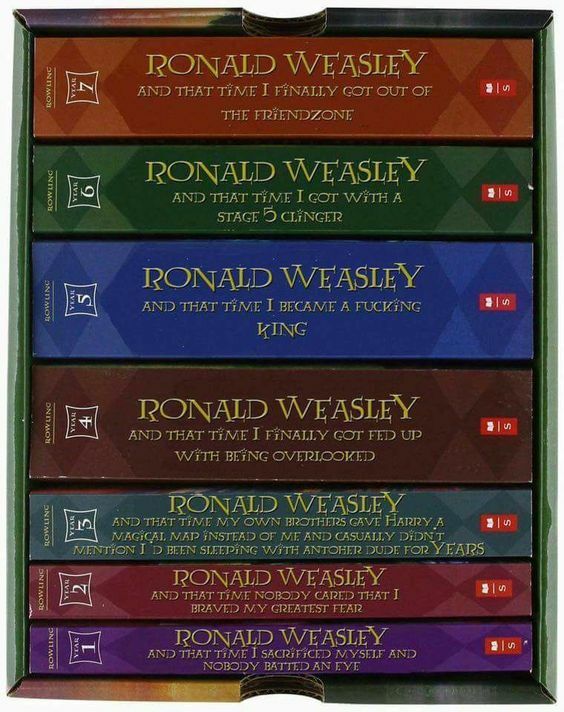 Hermione falls in love with an athlete. A student dies. The school stays open. Voldemort has officially come back with a body and is no longer a ghost or vapours or whatever he was supposed to be. A group of people start to assemble to get rid of Voldemort. A lady in pink takes over the school. Harry forms an army of underage students. Sirius Black dies. Harry inherits a cranky house elf. The government accepts the fact that Voldemort is actually back. Harry finds an old school book which helps him in his classes. Snape finally gets to be the Defence against the Dark Arts teacher. The new potions teacher is only interested in teaching Harry to put a picture on his wall saying that he did. Dumbledore endangers Harry again without telling him why. 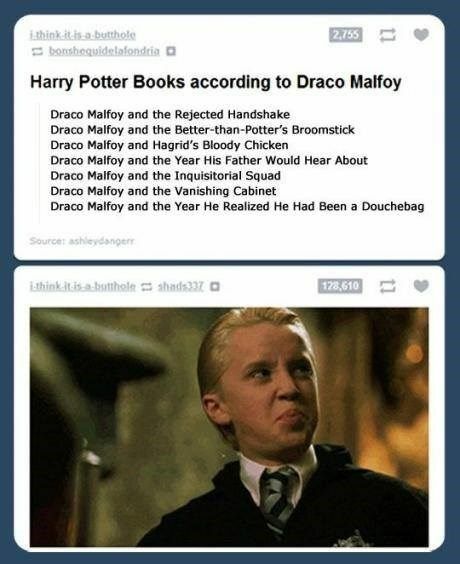 Draco gives into peer pressure and endangers literally everyone at the school. Dumbledore dies. An old folk tale turns out to be true. Harry is sent on yet another dangerous mission with his two friends to rid the world of Voldemort with no information on what they are looking for. They almost die, are forced to live as outcasts, and basically, everyone dies in the end. But good news: Harry survives. Worst epilogue in the history of all epilogues. Those graphics are HILARIOUS. Thanks so much for the laughs, and happy A to Z! Thanks so much so stopping by! Happy AtoZ to you as well! Hahaha at all those memes. Do you have a favorite book? I think mine is book 3. Book 5 gave me so much rage I HATED Umbridge! Um I’m not sure. I love them all!! 6 is my favourite movie though. I love little things about each book- things not in the movies. So its too hard to pick a favourite book! I love the fact that there are all sorts of little nods and hints dropped through the books which become Things in later books, like the Vanishing Cabinet getting a mention back in (I think) Chamber of Secrets. I feel like a detective when I reread the books. I saw the first movie and it made me want to read the books otherwise, I probably wouldn’t even have read the series. The first time I read book 5, it was my least favorite, but after reading through the series a few times, it grew on me tremendously. 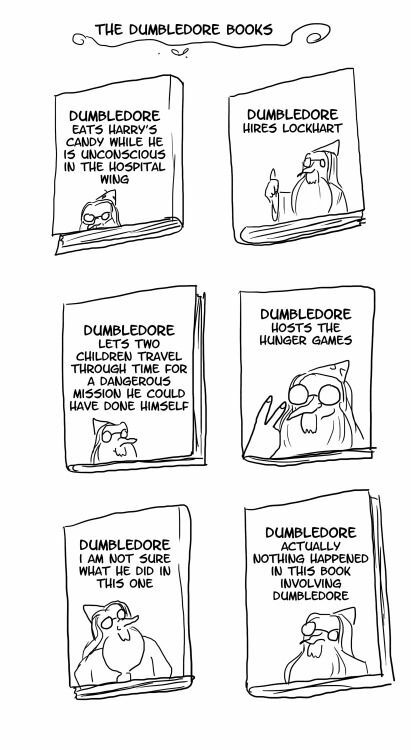 It got on my nerves how whiny Harry was in that book, but then it made sense to me. I’m due to re-read them. It’s been a while. Absolutely, I think that’s why it’s now one of my favorites because she really got that teenage angst right. It was just a bit annoying the first time through, but now I love it.